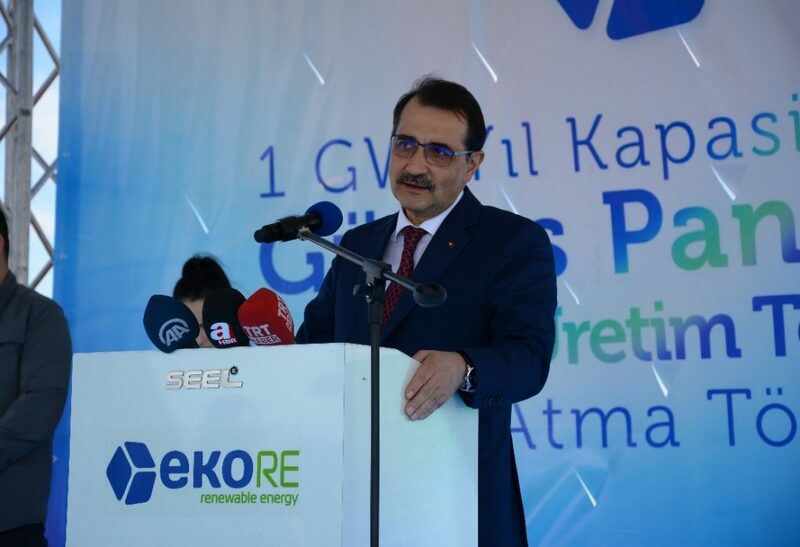 The groundbreaking ceremony of annual 1 GW solar panel vertically integrated production facility was held on March 11, 2019 with participation of Energy and Natural Resources Minister of Turkey Mr. Fatih Dönmez’s in Bor Organized Industrial Zone of Niğde. 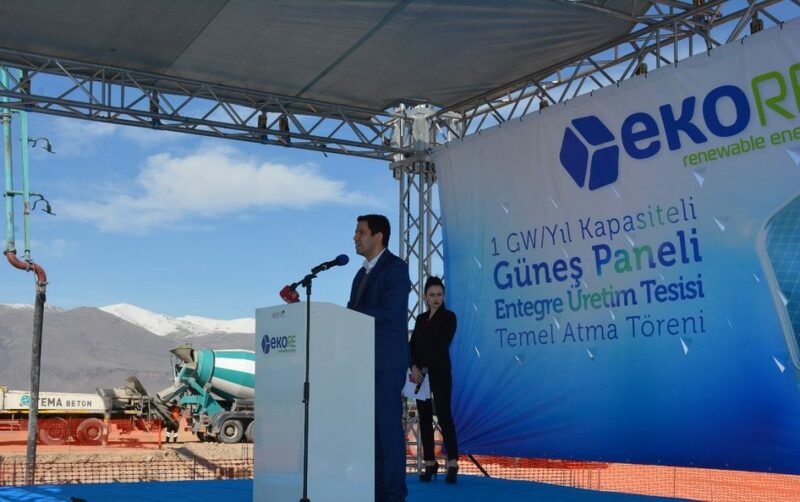 The company also revealed that on April 9, the project was awarded “special project” status under the Turkish government’s “Project Based Investment Incentive System,” a 4.2 billion TRL incentive scheme launched in August 2017. EkoRE plans to focus and leverage Heterojunction (HJT) technology to reach higher degrees of efficiency at lower cost of production, Diamond wire technology to increase production output significantly and maximizes machine capacity, SmartWire Connection technology (SWCT) for reducing the negative effects of possible micro-cracks to a minimum to manufacture its first and the main products of 335 W 60 cells HTJ panel and 420W bi-facial 60cells HTJ solar panel. 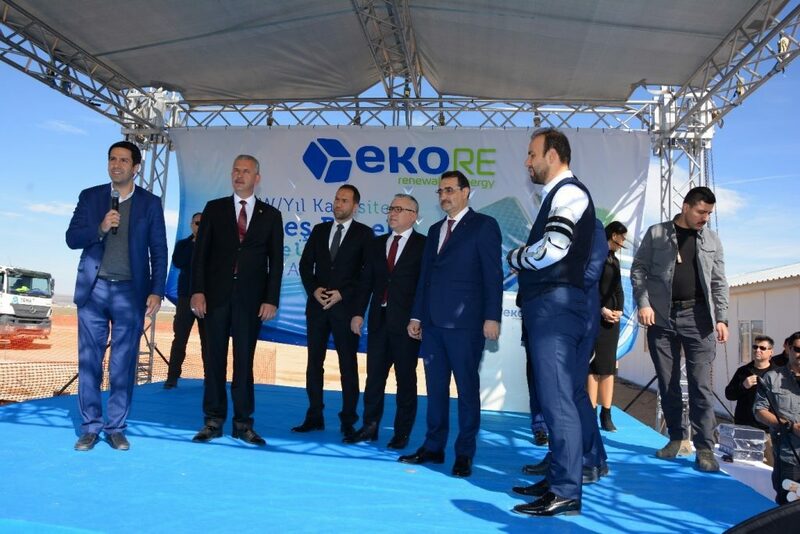 EkoRE targets launching a new global brand from Turkey by exporting at least 80% of the products produced on this facility and aims to gain a significant place in the international solar energy market. The project, which will contribute significantly to the regional economy, is expected to provide employment opportunities to approximately 1,500 people and aims to make this region as one of the significant technology centers. Following the opening speeches, the foundations of the production facility in Niğde Bor Mixed Organized Industrial Zone were laid.